Home > Our School > News > General > Carnaval/Carnevale Week! It is Civvies Day…ALL WEEK DURING CARNAVAL/CARNEVALE 2019!!! Civvies Day Dress Attire: Wear your Favourite cozy Track Pants & Sweatshirt. 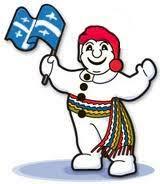 Wednesday—Presentation by Prologues to the Performing Arts (BBOYIZM) and Bonhomme Cookies/Biscotti! Civvies Day Dress Attire: Zany Tuque, Cappello and Hat Day. Civvies Day Dress Attire: Fun in the Sun Day! Dress Theme: Wear your Favourite Sunglasses, Summer Hat and Summer Shirt with your Favourite pair of Jeans!! Civvies Day Dress Attire: “Formal Friday” Dress Theme for the Carnaval/Carnevale Dance!! Lotto Carnaval/Carnevale will take place all week, during the morning announcements! Thank-you to our magnificent French Teachers and International Language Instructors! !